Jussie Smollett galaxy s8 case by Billy Jackson. Protect your Galaxy S8 with an impact-resistant, slim-profile, hard-shell case. The image is printed directly onto the case and wrapped around the edges for a beautiful presentation. Simply snap the case onto your Galaxy S8 for instant protection and direct access to all of the phone's features! There are no comments for Jussie Smollett. Click here to post the first comment. 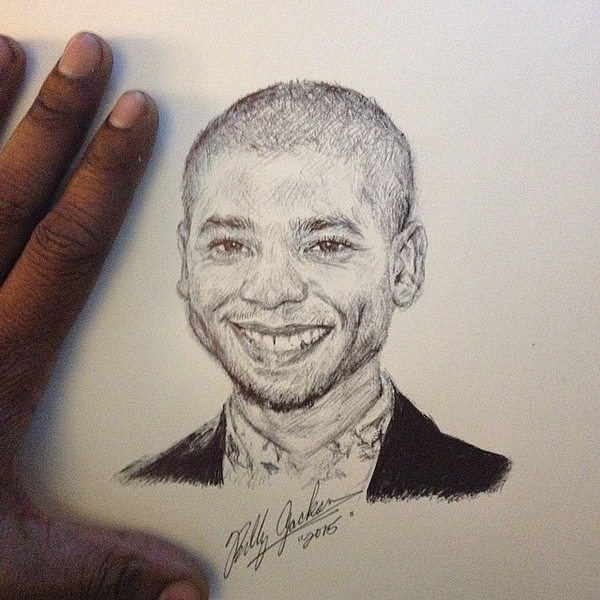 Follow Me on Instagram: billyhjackson Like Portraits by Billy Jackson on Facebook: www.facebook.com/Artbybilly Born and raised in Chicago, Billy Jackson has always been involved in drawing, painting and creating of something, which led him to get his Master's of Fine Arts in Education from The School of the Art Institute of Chicago. Currently he teaches at Community Youth Development Institute High School in Chicago IL.